For some Reg readers there's only One True Laptop, and it's the ThinkPad. Yes, still. The ThinkPad community may be world's biggest tech grumblers – I know, I am one – and have been complaining about the changes for years. But they keep coming back and paying a premium for the milspec-worthy build, the antiglare screen and the keyboard. Nobody else can match those three. So although they're formally business machines for large enterprises, many readers opt for one at home out of choice. After a tease at CES, Lenovo will start moving its new 2018 ThinkPads into the UK channel in April – and we had a paw at the entire range. And what a bewildering range it is. As soon as you try to simplify it and generalise, you need to point out the exceptions. Every part of the range includes an exception that really puts it in another range. Differences between models in a range can be greater than between ranges. 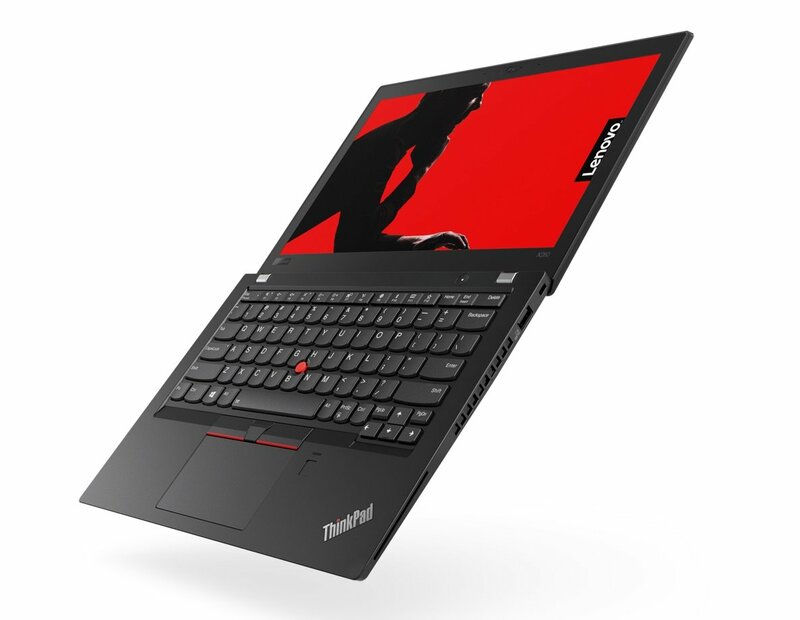 For example, the T480 and T480s are quite different beasts – while it's very difficult to tell between some models in the the entry-level E series and some members the next one up, the L series. To sum up, several of the ranges have new, overhauled chassis to accommodate the eighth-generation Intel processor, many now charge from USB-C instead of the yellow square tip power connector. Rapid charging spreads across most of the range and is more powerful. Chris Fieldhouse, manager of the B2B stuff ("Commercial Products") at Lenovo, told us there was more focus on two growth segments: SMEs and millennials. The latter are apparently demanding thinner and lighter laptops as they chase the zeitgeist from their ironic pubs (The Triggered Snowflake being a favourite haunt) and soy milk cafes. SMEs are presented with a new V series, V330, in some markets, but not the UK, while millennials get more Yoga models from which to choose. Lenovo says models in the E, L and X ranges are up to 20 per cent thinner and lighter, and the premium price brings RapidCharge from empty to 80 per cent in an hour. 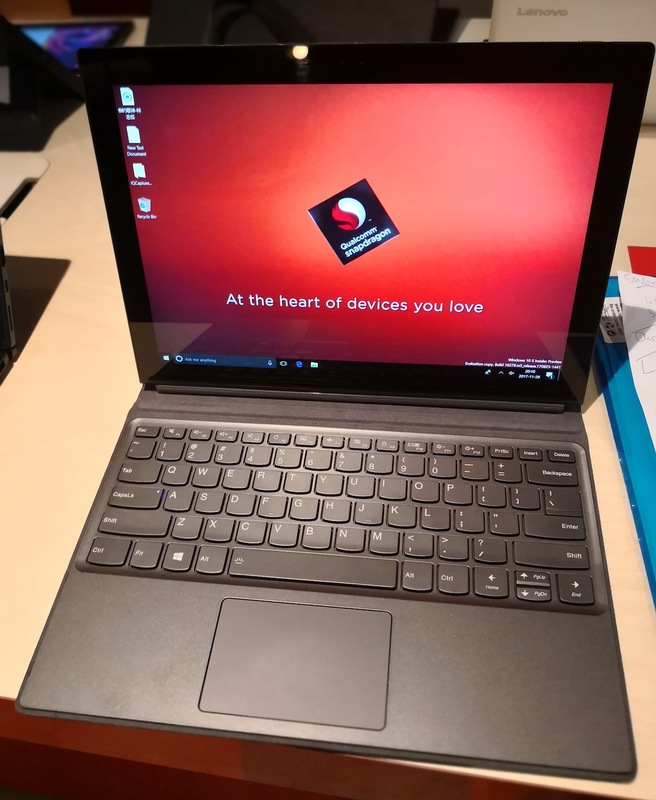 One or two models receive special focus: the well-reviewed Yoga 370 is superseded by the Yoga 380, which Lenovo views as a more mainstream choice. 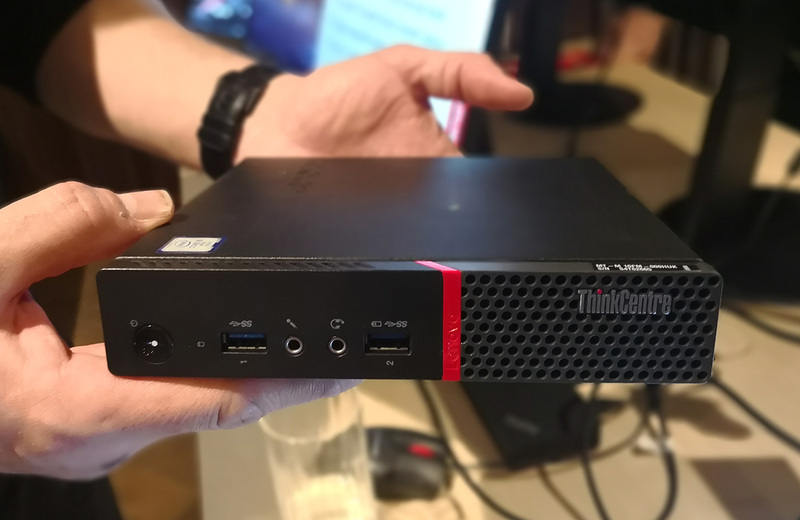 Lenovo describes the X280 as an "aspirational" C-Suite product, but surely that's the X1 Carbon? Now into its sixth generation, the X1 Carbon is the jewel in the crown. Let's start here. About a third of the press pack for two-dozen new products is devoted to this model. The Carbon is blessed with upmarket options such as a sumptuous WQHD resolution display with 100 per cent Adobe RGB colour gamut, and LTE, but it's still thin and light – 2.49lb or 1.13kg. 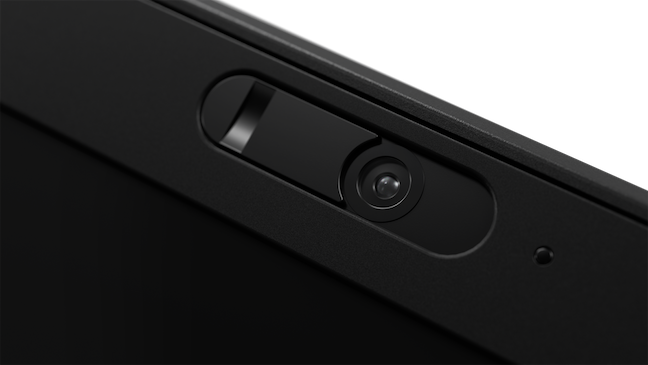 This year's styling adds a webcam shutter, inevitably called a ThinkShutter, for what else would it be called? Like several other models it exchanges the old swipe-style fingerprint sensor for a phone style one which can be used at any angle. Lenovo claims 15 hours on the 57W battery. The X1 Yoga sibling has similarly impressive specs: 2x Thunderbolt, 2x USB 3.0, and a microSD reader. The X1 Yoga is a little heavier than the Carbon: 1.4kg but not a lot bigger, 333mm x 229m x 17.05mm to the Carbon's 323.5mm x 217.1mm x 15.95mm. Given how clunky convertible ThinkPads used to be, it's amazing that it's only 1mm thicker. Both the X1 Carbon and X1 Yoga are the first ThinkPads to have Dolby Vision HDR. The 13-inch X1 Tablet, the nearest to the Surface concept, also gets refreshed with a luxury 3K display. You can bust out to 1TB of SSD or 16GB of RAM, and it also sports two Thunderbolt 3 ports and the microSD card reader. If you want Ethernet, use Thunderbolt. The Tablet weighs in at 890g or around 2lbs alone, and 1.27kg or 2.79lbs with keyboard. Yes, there are cheaper tablets from Lenovo. Wacom's stylus, rebranded as the Pen Pro, is brought up to date supporting 4,096 pressure levels. And there's a physical pocket for it to go in, thankfully. Lenovo claims it should last 156 hours between charges. Of course all three X1 siblings sacrifice removable batteries, a trend that is spreading across the ThinkPad line. And so too does the X280. The X series dates back to when IBM was the custodian of the ThinkPad, and long before the term "Ultrabook" was coined, with the X20 launched in 2000. 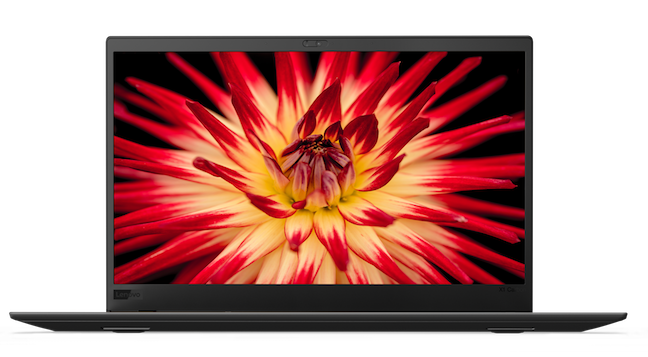 This lineage has been the workhorse of the family, for years offering the thinnest and lightest ThinkPad. It was never cheap, but its relatively compact size – the only one to squeeze onto an airline dinner tray – won it a special place in the lineup. The workhorse X series estate is a little larger than it used to be, with the "s" model T series being almost as light. So the Xnnn gets positioned as a more upmarket option, which feels weird. The X series is perhaps where users have been most critical and least forgiving of Lenovo's design changes over the years. But at least Lenovo listens. One year, the RAM was soldered on and not upgradeable, and the X and T series came with a rotten trackpad with no buttons. These decisions were unpopular and the damage was rectified the following year for the X450 and T450. The X280 display is a 12.5-inch diagonal, and it weighs 1.16kg (2.36lbs). It too features the ThinkShutter, but dedicated full-size Ethernet is a thing of the past: it's a mini Ethernet port. 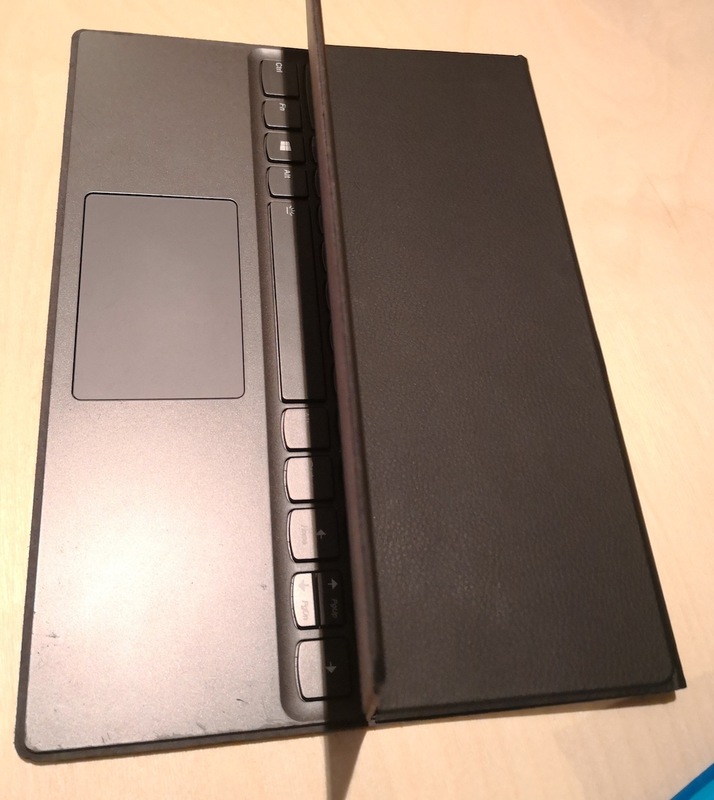 The X280 has one Thunderbolt 3.0 and one USB Type C. Battery life is up to 16 hours (is the claim), although many will rue the sealed battery. That's not all for the X line. There's a bewildering X380 Yoga with 13.3-inch display, 1.4kg weight, one Thunderbolt and two regular (Type A) USB 3.0 ports. 13.6 hours from 51Wh is the claim here. I really don't know why there is an X380 at all, but would guess that some customers still hanker after a 13.3-inch diagonal display, don't like the 12.5-inch X280, and consider all the other dozen slightly larger 14-inch options too big. So it's there. 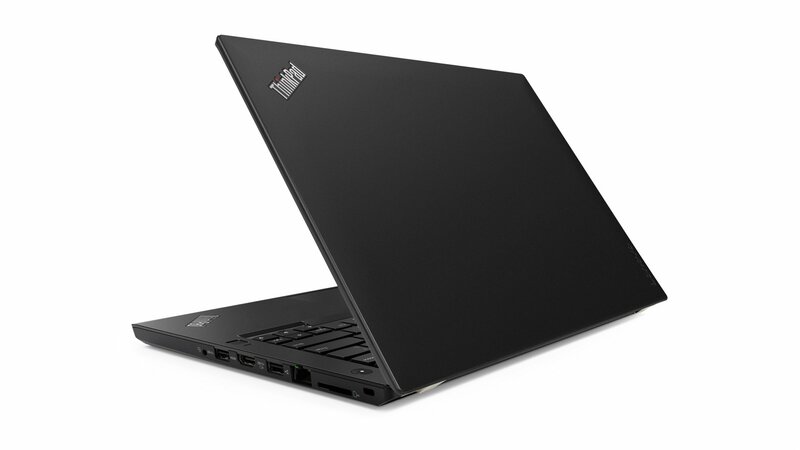 The E series derives from the budget ThinkPad Edge introduced in 2010. The E series wasn't updated this year, but the L series gets plenty of attention. The chunkier L480 is capable of a dedicated Radeon GPU option, weighs 1.68kg/3.7lbs, has a 14 inche screen, and eschews Thunderbolt 3.0 completely for 2x USB Type C and 2x USB 3.0. There's room for a full RJ45 Ethernet port. Here Lenovo claims 12 hours of battery 45Wh with RapidCharge. It also has the "Birdseye" Cover. 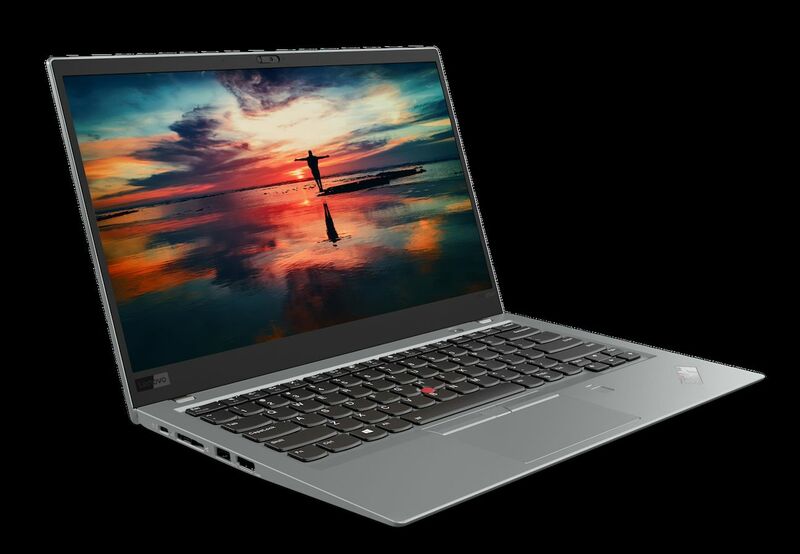 Of note here is a more affordable business convertible, the L380 Yoga, in matte black or silver. This is a 1920x1280 pixel display workhorse, weighing in at 1.56kg but has no RJ45 or microSD card. 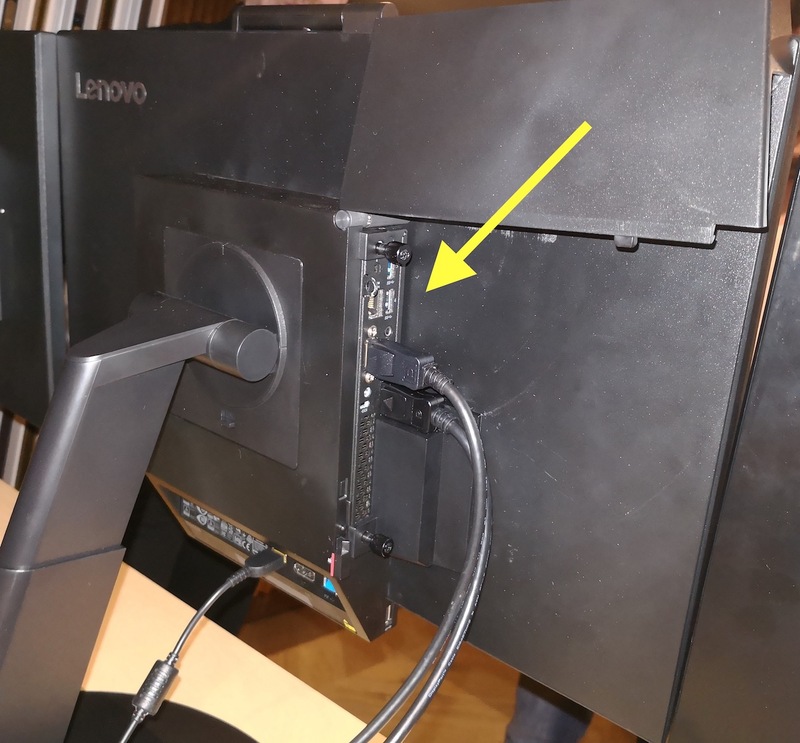 Lenovo pushes the USB-C Dock hard with this, implying that it's sacrificed the slots to bring the weight down to less than the regular L380. The L range's big brother is the L480, again optional Radeon GPU, a 2kg option with a 15-inch display. You'll note from the expansion (2x USB-C, 2x USB 3.0) that Thunderbolt is reserved for the premium X and T ranges. Now to the one you've all been waiting for – and no, I'm not being remotely sarcastic – the T series. Has there ever been a product more widely used that gets so few reviews? 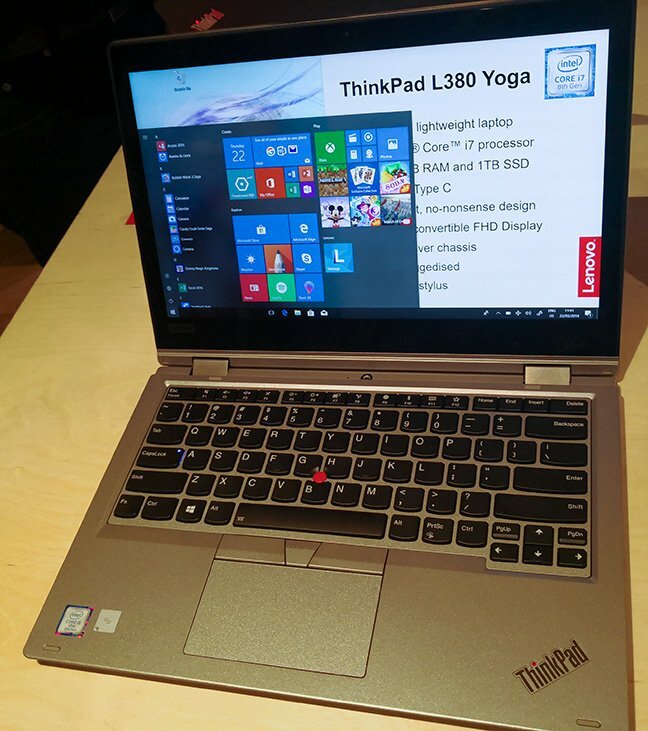 The T is pretty much what people think of the workhorse business ThinkPad. It's where the bulk of sales go. As it has for a few years now, the T series has two quite different models with almost the same name. The T480 and T480s are both 14-inchers, but they feel like they should belong in separate ranges; the latter trades in ports and a removable battery for weight. I confess I have one solely for the amazing keyboard. It's one machine where you can write 4,000 words in a day and not feel it in your knuckles. Lenovo has made it slightly less amazing with key travel down from 2mm to 1.7mm on the T470, which is a shame, but it's still the best typing experience on a new laptop. I hope this is one of these little "I wonder if anyone will notice" decisions that everyone notices. The T series has always been generous with ports. The T480 doesn't skimp either: one Thunderbolt 3, one USB-C and two USB-As, full-sized Ethernet, microSD card and a slot for a nano SIM. It's 3.49lbs (1.58kg), 336.6 x 232.5 x 19.95 and may run, according to Lenovo, for 14.5 hours on the dual (24 + 24Whr) battery. The T series had reliably rotten sound but this has been much improved in recent years, with Dolby Audio on this year's T480s. Despite being almost the same size the T480s has felt like it should have its own prefix. This year there's less of a difference: the "s" is 5mm narrower, 5.5mm shorter and 1.5mm thinner than the main T, and 260g lighter, but retains most of the ports (the T480 has a proper SD card-sized reader, while the T480s takes the microSD size). The "s" uses one integrated 57Wh battery. The thinking is that Intel's eighth generations are so much more efficient, you don't need to be battery swapping. For both T models, the optional GPU is the NVidia GeForce MX150. As an aside, Lenovo was also showing off the Qualcomm-based Miix 630, which runs Windows 10S. It's basically a fancy Windows 10 tablet – have a look at the thinking behind this, and more hardware, in this feature. The hardware is ready but the software isn't – it's still months away from release, but the pictures give you some idea of the proposition. 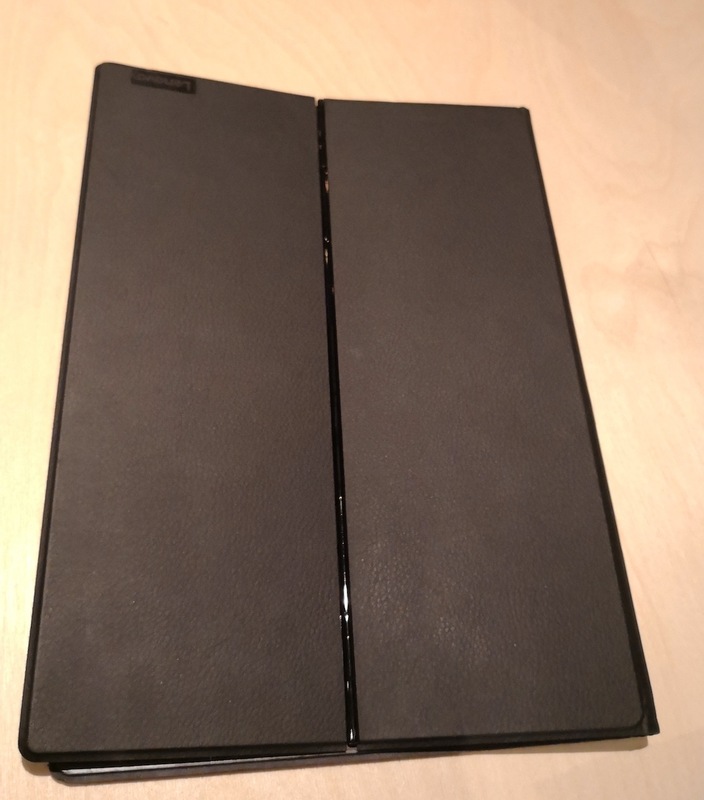 The Miix's fold-up keyboard: very nicely designed. 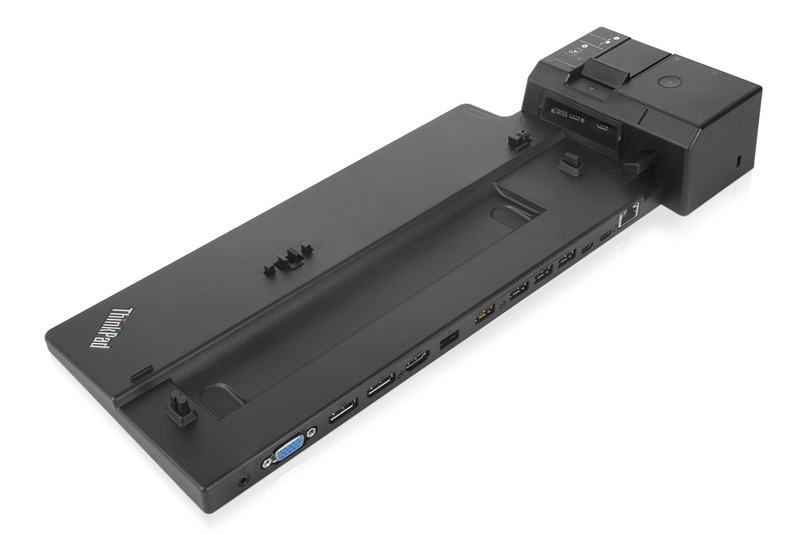 The classic Ultra Docking Station, which attaches via a proprietary connector, now supports USB-C and requires a 135W adapter. But it has a lot to do: four USB 3.1 and two USB-C ports are built in, and those can power other peripherals (we note in the small print that Linux is supported). What began life as the IBM PC company still makes PCs, although they're well hidden. Can you spot the PC in this picture, dear reader? I've given you a clue.